Let's start out by defining multi-channel sales. The term multi-channel is used to describe environments in which you are selling products through different avenues, or channels such as a store, web store, a marketplace like eBay or Amazon, or even an event such as a flea market or trade show. You could also consider dropship suppliers as a channel too. You need software or systems to execute a multi-channel strategy and herein lies the problem. Your systems aren’t connected and when these systems aren't connected you spend lots of time keying items into multiple systems, updating items and prices, gathering orders, updating order status...you get the idea. Managing inventory can also be a problem because you need to constantly update many systems with the inventory you have on hand or you'll end up selling products you don't have. The issue of manual effort required to keep everything running smoothly is so widespread that most companies can't move forward with taking products to new channels because it's simply too much work. However, getting your products into many channels could help you increase sales - quickly. 1. Successful multi-channel companies deploy item syndication. To do this effectively they've connected the system that acts as the Item Master to the channel system. For example, the Point of Sale system (the item master) is connected to the web store system and automatically pushes new products and updates to pricing to the web store. These companies are easily able to manage items pricing, price lists and updates electronically to their web store with very little manual effort. 2. Successful multi-channel strategies automate order management. Orders from a web store or marketplace get pushed to the item master system creating centralized management of orders to be fulfilled and customer data. Once orders are filled, the system pushes an order status to the web channel so it can notify the customer shipment is on its way. 3. 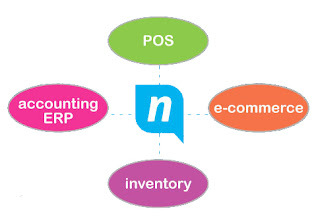 Successful multi-channel companies automate inventory management. Each time a web order is placed it is pushed into the master system to await fulfillment. Upon receiving the order, the inventory for the item is "committed" and once order is filled the total inventory is decremented. Items in which no inventory is available are automatically hidden in the web site or an "out of stock" is automatically published to the web for that item. If this were easy - everyone would've figured it out right? Many companies put together detailed import/export processes, which require time and effort - but considerably less than manual entry. Custom Integration can be costly and hard to support, but if you have your own resources (or super-technically inclined) you could do it yourself. There are a constellation of POS, ecommerce, and accounting systems that have integration built-in to another, but these systems require the use of both systems (which you may or may not have). If you want to add another channel to the mix, you're back to square one. A promising new breed of cloud-based management platforms may make multi-channel strategies easier and cheaper for companies because they offer a variety of connectors for a variety of systems (POS, ecommerce, accounting, marketplaces) - so you can connect and leverage the systems you've already invested in. 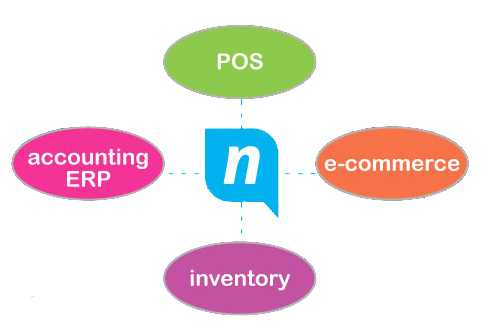 Author Bio: nChannel provides an easy-to-use, cloud-based platform that enables retailers to cost effectively synchronize and exchange sales, customer, and product data from transactions that occur at the register, in the warehouse, or via a web-store.